Not everyone can pull off the homeless look. Or can they? One person who can successfully pull off the hobo style is singer Kim Hyun-joong. On Jan. 21, through his official Facebook page Kim uploaded a picture titled "Flower? Beggar" in which he is dressed down to look like a bum. 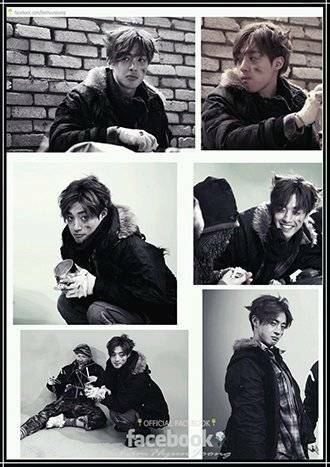 Beggar style Kim, complete with a collection can for donations and gloves ridden with holes was taken while the Hallyu pretty boy was on the set of his latest drama "City Conquest". Fans were thrilled with the picture, many gushing that there was no way that Kim could not look good in any photo or circumstance. Meanwhile, on top of drama commitments, Kim is busy touring Japan. His tour kicked off in Kobe on Jan. 6.